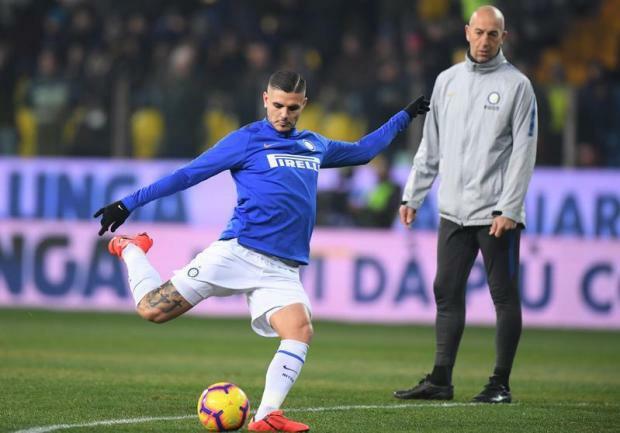 Disgruntled Inter striker Mauro Icardi returned to training with the club on Thursday after a month on the sidelines amid a protracted contract dispute. The strained relationship had thawed in recent days with Icardi missing the team's 3-2 derby win over city rivals Milan which moved them third in Serie A, two points ahead of their rivals. Icardi -- joint top scorer in Serie A last season with 29 goals -- has scored 15 goals in all competitions for the club this term.